The Egyptian Banking Institute (EBI), through its ‘Shaping the Future’ initiative, celebrated the Global Money Week 2017 for the fifth consecutive year targeting 1.5 million child and youth, through direct and in-direct outreach, in 27 governorates across the country. Child and Youth Finance International (CYFI) initiated the Global Money Week as an international annual celebration of financial literacy of children and youth, taking place in March of every year. In GMW 2017, a number of university students visited the branches of Banque Misr, Export Development Bank of Egypt, Housing and Development Bank, and Union National Bank-Egypt. They also visited the Egyptian Stock Exchange and its attached museum and they participated in the “Ring around the World” event on Monday 28 March 2017, where children and youth around the world ring the stock exchange opening bell. Also, in partnership with Plan International- Egypt and the Ministry of Youth and Sports, EBI organized a Training of the Trainers (TOT) to volunteers in order to build their capacities and allow them to train another group of volunteers in the different governorates on delivering financial awareness sessions. The EBI partnered with the Ministry of Youth and Sports and the Egyptian Stock Exchange to deliver a TOT session on a stock exchange simulation game that will be later introduced and taught to children and youth across the country. This game was preceded with a TOT on how the stock exchange market works and highlight its role in the economy. The winners from the simulation game will be awarded prizes from Banque Misr. The Ministry of Youth and Sports also organized a number of competitions such as a short essay writing competition, a research competition, and “Grandma Hafiza” radio competition on the Youth and Sports Radio Channel, which is also sponsored by Banque Misr. All these competitions aim to further introduce issues and topics around financial literacy. The EBI delivered a number of awareness sessions in partnership with the Ministry of Education and 360 Experiential Solutions. This included visits to public primary, preparatory, and secondary schools, where financial literacy awareness sessions took place. The EBI also worked in partnership with the Faculty of Economics and Political Science, Cairo University and the Egyptian Banking Simulation Model on organizing a financial awareness competition sponsored by Union National Bank-Egypt and an entrepreneurship competition sponsored by Credit Agricole Bank Egypt. During the GMW 2017, partners of the ‘Shaping the Future’ initiative supported EBI’s financial literacy efforts in line with their efforts to promote financial awareness and financial inclusion of children and youth. Banque misr, Export Development bank Egypt, Union National Bank Egypt, Credit Agricole, SAIB Bank, and Housing and Development Bank sponsored all Global Money Week Activities for the year of 2017, which allowed the EBI to successfully deliver awareness activities on financial literacy, across the 27 Governorates of Egypt. 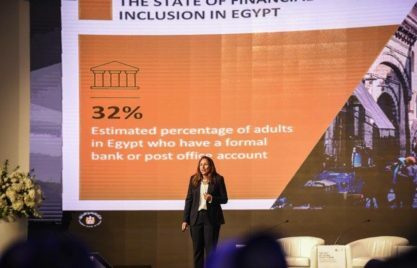 For three consecutive years Egypt won 4 awards from CYFI, making it the first country to win three times in a row crowning its financial literacy efforts & placing Egypt as a pioneer in the MENA region. In 2014, ‘Shaping the Future’ won for Egypt the CYFI Global Money Week Award – MENA Region. 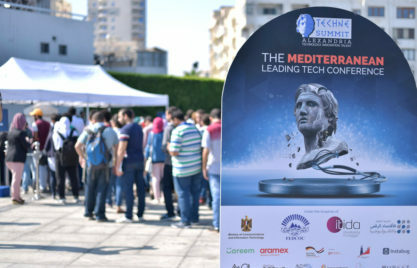 Being chosen from amongst 16 countries, Egypt won due to the efforts of delivering financial awareness sessions for 360,000 children and youth, implementing TOTs for volunteers, arranging student visits to banks, Central Bank’s Money Museum and the Stock Exchange opening session. In 2015, ‘Shaping the Future’ won for Egypt the CYFI Country Award. 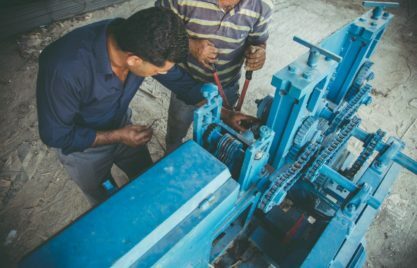 Egypt won due to the efforts of EBI along with partners in reaching 1.5 million children and youth through executing Financial Literacy activities in all 27 governorates of Egypt. In 2016, Egypt won for the second consecutive year the CYFI Country Award – MENA Region as well as the CYFI Global Money Week Award. This year, EBI through its ‘Shaping the Future’ initiative reached nearly 2 million children and youth through direct outreach by conducting awareness sessions in schools, universities and youth centers, and more than 50 million through indirect outreach through television, radio and media.